Here’s a story that would make one hell of a Planet Earth segment: Two subspecies of the African queen butterfly in Nairobi, Kenya, are infected with the bacterium Spiroplasma ixodeti. It causes male eggs to not hatch, while the females eat those unhatched male eggs as soon as they’re born. As a result, there are no males in the species. They’re able to keep reproducing despite no new males being born because male butterflies are flocking from afar to get laid. 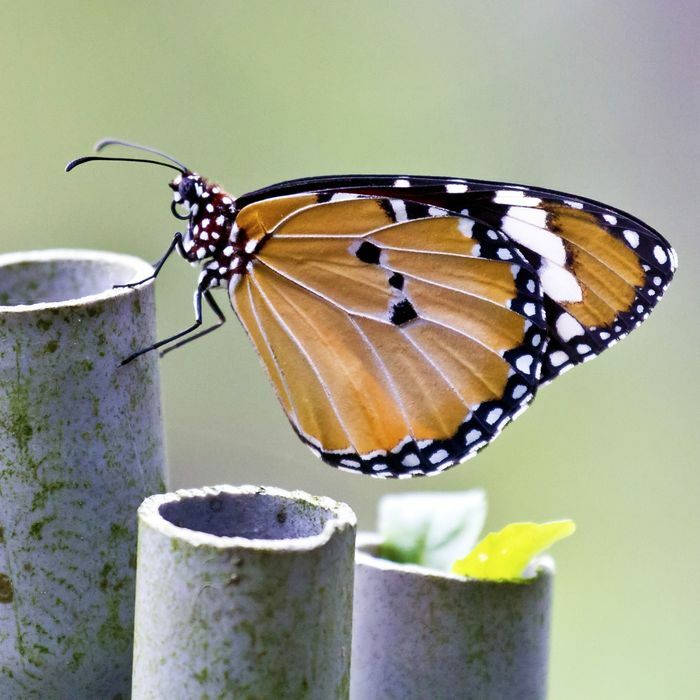 Richard ffrench-Constant, a professor at the University of Exeter, published his new findings on the matriarchal butterflies on Tuesday – and learned that this lack of males is actually leading to new species. “The reason this system is so interesting is that it’s a smoking gun for speciation,” he explained. “We can see the subspecies splitting apart.” The agent of this change is the baby-killer microbe. The subspecies live side-by-side but, without males, can never interbreed and so are becoming more and more genetically distinct.